All of these framed, canvas prints are lit with LED and/or fibre optic lights behind the canvas, lighting up in the dark to add a warm glow and festive feeling to your village or while hung on any wall. All of the prints are battery operated (batteries not included). 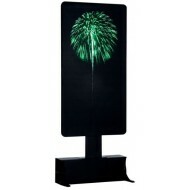 The backdrops can hang on the wall behind your village or stand up on your display table at the rear of your village. The timer will automatically turn on the prints and backdrops for 5 hours then turn off. Each has a built in 5 hour timer. The prints and backdrops will continue to turn on each day at the same time for 5 hours. 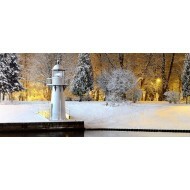 Click on the images to get details on the dimensions and number of lights in each print. Over 150 hand-placed lights and dazzling fiber optics brilliantly create this ever-changing, ever-th.. Measuring an impressive 20 inches wide in its cherry-toned wooden frame, the Thomas Kinkade “Victori.. The all-new “Victorian Family Christmas” Illuminated Canvas Print brings a previously unpublished Th..
As the sunset paints the Christmas Eve sky in soft shades of orange and gold, the lights from each w..
Lighted Canvas Print Two assorted lighted canvas prints Fibre optic and LED lighting Batte..
CVS Christmas Sunrise, Lighted Backdrop, B/O CSBKDRP002 Lighted Backdrop Print for Your Villag..
Santa's Secret ILLUMINART ® - 12"X16" Item No. 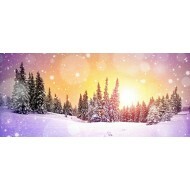 10747 Illuminated wrapped canvas art. LE..
Lighted Canvas Print LED lighting Battery operated Batteries not included ..